– Looking for a Christmas Gift for Golfers? – Want a Christmas Gift that lasts all year? – Looking for new golf partners? We believe that golfers should be able to play anywhere, at any time, whether they belong to a golf club or not. 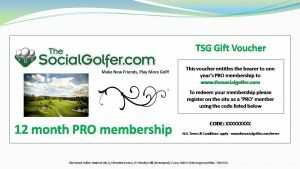 By joining thesocialgolfer.com community, you can arrange games close to home or with 9,000+ golfers worldwide….. So, if you’re looking to take up the game fo the first time, looking to rekindle your love affair with the sport or if you are just looking to get your latest golf stats tracked – this is the site for you. 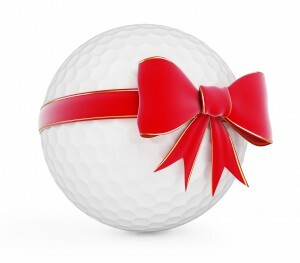 PLEASE NOTE: Once you have completed your ‘Christmas Gift for Golfers’ purchase, your voucher will be emailed to you within 24 hours. If for any reason you have not received your voucher within that period, please check your spam file for our email…. If you are still not receiving your voucher, please email us at theteam@thesocialgolfer.com, and one of our team will respond to the problem straight away. As the nights grow shorter and we head into Autumn, many golfers look at packing the clubs away for the Winter but with some great deals available out there on Winter Golf Membership, don’t let the weather get in the way, keep playing! Many TSGers like to keep developing their game in the cold months and Crown Golf are just one of the golf club networks looking to incite you to keep the clubs out of the garage for a little longer than normal this year. This month sees Crown Golf launch one of the most exciting Winter golf membership packages in the UK for many years…. So what is in their Winter Golf Membership package? New members will be able to take full advantage of fantastic golfing facilities with complimentary access to over 30 golf courses, including 5 partner clubs. This Winter golf membership package provides access to some of the best member benefits this country has to offer with full membership access over the FOUR months, at a very competitive rate. 5-day and 7-day membership packages are available varying from £180 to £410 depending on the club and county. Split into 4 tiers, the pricing structure is very easy to understand…..
(Merrist Wood Golf Club, Guildford; Mill Green Golf Club, Welwyn Garden City;Milford Golf Club, Godalming; Sherfield Oaks Golf Club, Basingstoke; St Mellion International Resort, Saltash; The Hertfordshire Golf Club, Broxbourne; Cams Hall Golf Club, Fareham). (Chesfield Downs Golf Club, Graveley; Oak Park Golf Club, Farnham; Paultons Golf Centre, Romsey; South Essex Golf Club, Brentwood; Stapleford Abbotts Golf Club, Romford; Sunbury Golf Centre, Shepperton). (Addington Court Golf Club, Croydon; Bristol Golf Club, Almondsbury; Eccleston Park Golf Club, Prescot; Wickham Park Golf Club, Fareham). Winter golf membership – The closing date? It’s no surprise that an offer like this has a cut-off point. Sign up to the offer before the end of October and enjoy your golf this winter with just one upfront payment which will not impact your Christmas shopping. The Crown Golf estate consists of 23 Golf Clubs, located in 7 counties, stretching from Cornwall to Liverpool. However, the majority of clubs are closely positioned to the M25 and M3, even more reason to join and utilise the member benefits. Crown Golf also offer fantastic ‘Pay and Play’ green fee offers all year round, boasting some of the best draining courses in their surrounding areas.